Suzanne graduated in 2005 with a music degree from the University of Birmingham. After working for The King’s Consort, The Sixteen and International Classical Artists, she joined Askonas Holt in 2014 and is a Senior Project Manager in the Tours Department. In her spare time, Suzanne is Deputy Chair for the St Endellion Easter Festival as well as a Trustee and violinist in London’s Corinthian Chamber Orchestra. When she’s not busy rehearsing or on tour, Suzanne has a season ticket for her beloved football team, and 2015-2016 Premier League Champions, Leicester City Football Club. Jonathan joined Harold Holt in 1992, working in various areas of the company – including IT and marketing – before settling in the Tours department at the recently-merged Askonas Holt and specialising, in particular, on presentations and building the company’s dance portfolio. He previously studied Management Science at the University of Warwick, and counts travel, cooking and hill walking amongst his interests. Rachel joined Askonas Holt in September 2018. After graduating from the University of Edinburgh in 2011 with a first class degree in English Literature, she began her career working in artist management at HarrisonParrott, before moving to the Philharmonia Orchestra for five years where she was Head of Recordings and Projects. Outside of work, Rachel enjoys traveling, particularly in Asia, playing the violin in various orchestras in London, long walks and long novels. 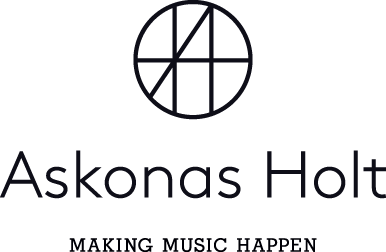 Rob started working at Askonas Holt in March 2017. Previously, he was the Production Manager for Improvised Music Company, a Dublin based contemporary music promoter. He is the co-founder of Ensemble Music, a Dublin-based music company that works with up and coming contemporary classical artists, and has worked as the music coordinator for Heartbeat of Home with composer Brian Byrne. While studying for his BA in Music in Trinity College, he was the production manager, guitarist and arranger for the Trinity Orchestra. In his spare time, Rob likes to exercise and get stuck into a good video game. Esther graduated with a Master’s degree in Cultural and Music Management from the Hochschule für Musik und Theater München in 2015. After three years working as Tours and RPCO Assistant for the Royal Philharmonic Orchestra in London, she joined Askonas Holt in November 2018. Previously, she worked for the Leipzig Gewandhaus Orchestra, Schleswig-Holstein Musik Festival, Sony Classical Germany in Berlin, Konzertdirektion Schmid in Hannover, and the West-Eastern Divan Orchestra. In her spare time, she enjoys travelling, tango dancing and playing the violin in various London classical orchestras as well as at many – mainly Irish – traditional music venues.